Hello, and congratulations for downloading this report. By taking the next few minutes out of your day and reading this short report, you should be able to see how the internet can drive a wave of new dermatology clients to your door step. If you take this knowledge and apply a small amount of action you can all but guarantee your business will be placed ahead of 95% of your competitors. My name is Terry, I am the administrator at dermatologistsa.co.za. My goal is to make dermatologistsa.co.za the most powerful and relevant dermatology directory listing in South Africa. If you are as busy as I am then I make no apologies in deliberately keeping this report short and to the point, pure value only. Read on for how to get those clients. This report is all about the presence of your business on the internet, and more specifically about how people search for business and how the search results are presented by the internet search engines, such as Google. For the duration of this report we will refer to Google as the primary search engine. Google has cornered the market in search because they are the best, and people know this (even though they might not spend any effort thinking about it). Google are the best because their goal is to return the search result that most reflects what Google interpret you are searching for. So how do people search for a service on the internet? Do you think they search for your name? Not if they don’t know you. Most people will search for a service. Do a test for yourself, go to Google.co.za and type in “dermatology”, then type in “dermatologist”, did you see a difference between these two searches in the results page. Even though the search term you entered is very similar Google is smart enough to interpret different search intentions, and therefore return different results. Understand this simple concept is the first key to having your business show at the top of those results. And I’m sure from your own experience of internet search you realise that the top results is what get people clicking through to find your web site or contact details..
Next try a search for “dermatologist” and add your province, closest capital city, town or suburb and again check the results, example “Dermatologist Gauteng” or “dermatologist Johannesburg”. Depending on your location and how well other dermatologists have established their online presence you may see very similar results to the search term “dermatologist”. As I said, Google is smart, they know if you type in “dermatologist” to the search engine it’s probably because you want to engage the services of a dermatologist. Further it makes sense to see someone close to you, so they show you the options that are close to you. But there is a catch; Google will show in the top results the dermatologists close to you but only those that have been well optimised for search engine rankings. How can you get your business to show in the top Google results? Simple, tell Google about your business. The obvious and most effective way is to create a web site, which we will come back to later. The other way is to list the details of your business on as many directory web sites as possible, such as yellow pages, and in my case, dermatologists.co.za. Google refers to the listings as local citations. Business citations are largely measured in 3 separate ways, quantity of citations, relevance of citations, and accuracy of citations. The exact algorithm for determining how these measures are turned into top search results is somewhat of an unknown, however if start doing them (properly) over and over again and you will get results. Note, citations can be returned in Google search results for generic industry related search terms, but usually only if there is very little competition. What’s more likely is that these citations will be shown when someone types in your personal name. Quantity. As the name suggests this is a numbers game. The more citations you have, the more Google sees your business name around the internet than your competitors then you get an advantage in a higher placing in the search results. Action for you, get your business listed in as many business directories as possible. A dermatology listing that was displayed between a car sales and real estate listing. A dermatology listing amongst other categorised dermatology listings within a general business, such as yellow pages. A dermatology listing on a web site that is only about dermatology, such as dermatologistsa.co.za. If you answered “C” then you are right. This is the most powerful citation you can get. To supercharge this power if you can add as much detail as possible about the services you offer that Google can interpret as relevant to dermatology then it adds more and more relevance, and therefore you can make the citation even stronger. Note, dermatologistsa.co.za allows you to do this. Accuracy. The last measure is an important one, but is mostly overlooked. How you list the citation is very important and if you prefer you can think of it as a listing quality measure. When making a new citation always make it the same Name, Address, and Phone Number (known as NAP). This way Google can easily match up the citation with other citations., and can then show the most relevant contact details in its search results. It just makes sense when you think about it. If you have multiple versions of your NAP the first problem is Google matching them together (remember the power of quantity), the second problem is what is supposed to be displayed. Yes, Google is smart, but not perfect. Google can’t guess everything so help it out a bit. An example of maintaining accuracy is to get your address correct, if your business is located on First Street, always add the citation “First Street”, don’t abbreviate with it with “First St”. Note, some directories will allow a space for a business name but no other name. For an industry that relies heavily on a professional but personalised service such as dermatology, it is usually best to use your own name if only given that choice, example type your citation name as “Doctor FirstName SurName”. Note, dermatologistsa.co.za allows both a business name and a Doctors name. If you have submitted a few citations and then perform a Google search for your name the citation that will show at the top of the list will be the one that is the same as the majority of others, and the one that is on the most highly respected site. I mentioned earlier about your own website. You can think of this as a way to supercharge you online profile. Or think of it in reverse, if you don’t have a web site, how will people know about all the services you offer? If you don’t make the effort to educate your future clients about yourself and the services you offer, why would they want to want to see you over someone else who does advertise who they are and what they do. These days the absence of a website is less common, and it is certainly expected. The added advantage is that the citation profiles you have created will point back to somewhere which describes in more detail about who you are, where you are, what you offer, why you do it better, adds a personal touch and so on. Not only is a web site the anchor point of your online profile, but it allows you to convey everything you need to convince a client to choose you. And this is where the magic starts to really kick in. Adding your NAP onto a prominent location on your website means that your website will easily outrank all those citations, but it’s the citations that fuel the power of the website. There are some tricks to getting your web site ranked well, apart from the citations you already know about a website can be optimised for many different keywords (or search terms). Adjusting your website to rank well for these search terms means more clients for you. Adding value in your web site, like adding your YouTube videos, images, and other useful tips and information, again means more visitors to your website and more clients. If you can adjust your website to rank well for different search terms, then you will get more people visiting your web site, and then more clients. A simply trick to easily power-up your website is by linking out to your citations and social media profiles, this essentially strengthens and powers up your online network, again resulting in more exposure, more people finding you, and more clients in the front door. With the advent and rise in popularity of Social Media platforms Google is starting to pay more attention to what people are saying. There is a way for Google to measure the quality of a service offering, when people rate and review a business. Google listens to this and rewards businesses that offer good service. The important point here is that if you are delivering a great service, let people tell other people about it, and Google will reward you for it. You may have done the same yourself when you like or share a link about where you have eaten or seen a show etc. It’s not hard to setup. For a few bonus points, have you ever seen the review stars next to a listing in the search engine results page? This is a slightly more advanced topic that I won’t cover here, however if your business does not have any social media strategy then you are missing out, and falling behind your competitors. The obvious and most common social media site is Facebook, but others that should not be overlooked are LinkedIn (especially for professional services industry like dermatology), and YouTube. There are others but these will give the best value return for effort. If you can accept what you have read above, the equation for top Google rankings is simple, do all of the above better than your competitors. The below assumes you have a web site. The steps to spying on and outranking your opposition. Run a few search terms related to dermatology + your local area. Note the results of whose sites are at the top of Googles list, picking the top 5 is a good start. Find the citations of the people of businesses listed on those search results. Add your own citation at each of the sites you find your competitors listed on. (Make sure you keep the NAPs listed the same). Pick a few of the most relevant or niche specific citations and link to those from your website, these are the most relevant and Google sees that you are adding value giving your website a boost, as well as returning link sharing power. Don’t forget to also share these links on your social media platforms. At this point you have usually done enough to outrank after a short period of time you will be enjoying the increase in search result ranking. Once you see a plateau in rankings, but maybe you are not outranking others, start from step 1 again. This time run a search for dermatology (and other related keywords) + a wider area (adjacent areas, city or province). If you are still not outranking your competitors after you see your ranking plateau again there is something else going on, usually other ranking factors that are more complex than this report will cover, and will need expert analysis. I hope all of this has made some sort of sense and you can see the value of using the internet to build-up your business. I have a philosophy that I find very true when implementing improvement and it applies in most instances. If you are not going forwards, you are going backwards. This is because others will continue to move forwards. Therefore a lack of action will see you falling further behind in relation to your competitors. 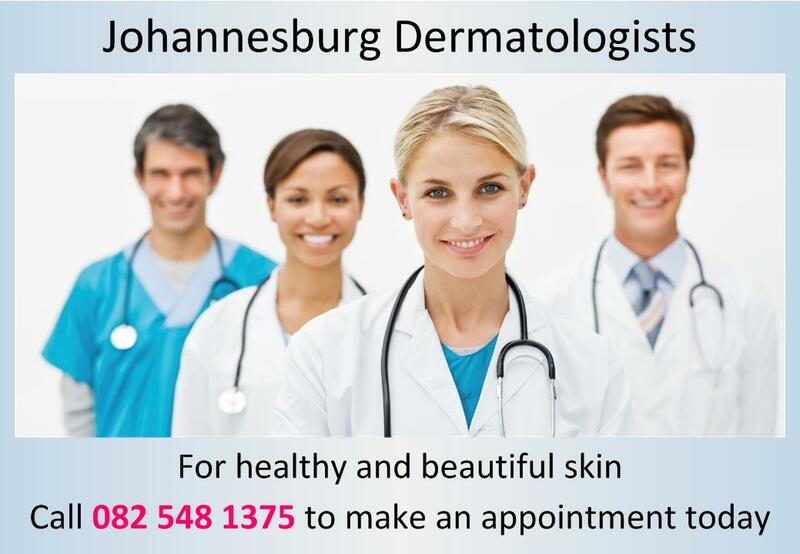 Remember to visit dermatologistsa.co.za to claim your free business listing. The keys to remember, make your listing the same as all others, and add as much detail as you can about the services you offer. On dermatologistsa.co.za you will get an individual web page that you can then link to from you website and share on your social media platforms to supercharge your online profile and leapfrog into number 1 on Google. We will email you a link to that page on our website. Hopefully I have made the point clear about why your business needs a citation listing on dermatologistsa.co.za. If you have question about any of the above, or need help getting these results, need a web site, and just want to outsource the above, you can send me an email at terry@dermatologistsa.co.za.